3rd floor 1 bedroom condo with hallway bunks. Sleeps 5. Short walk to beach. Great view of the Gulf. This condo is not pet friendly. Wake up to this view each morning. Living Room opens onto Spacious Balcony Balcony Overlooks a Beautiful View of the Water. You`ll Love This Place. New Pillow Top Comfy King Bed in the Master Bedroom. Bathroom Adjoins the Bedroom. Surprisingly Spacious One Bedroom Place. Fully Equipped Kitchen for Your Convenience Extra seating at the kitchen counter bar. Sleep two kids in the hallway bunks with safety rail. It`s a fun adventure after a busy vacation day. Comfortable Casual Dining with Flat Screen TV in the Living Room Full Size Washer-Dryer for Your Convenience Newly Updated Master Bath Hallway is a Beach Theme Art Gallery A Gorgeous View from your Living Room An aqua blue gulf coast view from your balcony. Extra space in the corner unit. Plus wrap-around deck. Slip into the relaxing pool. With hot tub too Grill Out and Enjoy the Picnic Table area. Free Beach Service - 2 chairs/1 umbrella set up for you every day. Mid-March - October. Only Steps to the World Famous Sugar-White Destin Beaches A short stroll to America`s nicest beaches in Destin Aways something happening at the Beach. Vacation at last. Enjoy the water. Neighborhood view from the wrap-around deck. Book your stay in Grand Caribbean 315 today. Call us at 423.899.3003 or Book Online today. GRAND CARRIBEAN WEST (#315) condo is in the highly desirable area of Crystal Beach in Destin. Welcome the privacy of this top (3rd) floor end unit with large wrap around balcony and gorgeous view of the emerald green waters of the Gulf of Mexico. Spring break get away from Jacksonville, FL for family (me, wife, 11yo and 9 yo daughters). I'm pretty sure this is same 3rd floor corner unit we stayed at for spring break 2017, we loved your place. Thanks for the info on WIFI speed, should be more than sufficient for my 'device' girls. But looking forward to your beautiful beach too! (which BTW are way nicer than Jax beaches). Walk out from the living/dining area through French doors and step out onto the spacious balcony. Relax with your favorite drink and enjoy the ever changing views of the Gulf. A brand new comfy king bed awaits you in the master bedroom! You will find a washer and dryer in the condo to make your vacation even more convenient. All linens are provided -- please bring your own beach towels. Don't miss shopping at the immense Silver Sand Outlet Mall! Golf, tennis, fishing expeditions, boating facilities, and aquatic sports are all available here. A bicycle rental shop is within walking distance of this condo. Destin offers a wonderful 6 mile bike/walking/running path which passes in front of your condo! and the aquarium in Fort Walton Beach is worth the short trip. King bed, 2 twin bunks in the hallway and sleeper sofa in living area. -Please note: This is a 3rd floor condo with no access to elevator. Sherry, had this to say about Grand Caribbean West: "My husband & I have stayed at Grand Caribbean on numerous occasions. This condo is by far the nicest one we have stayed in at this property. Very clean & stylishly furnished. The paint color is soothing and very appropriate for the beach. We will definitely be requesting this one in the future. 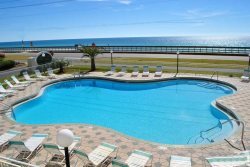 Grand Caribbean West 315 is located in the Grand Caribbean West Condo Community in Crystal Beach area.